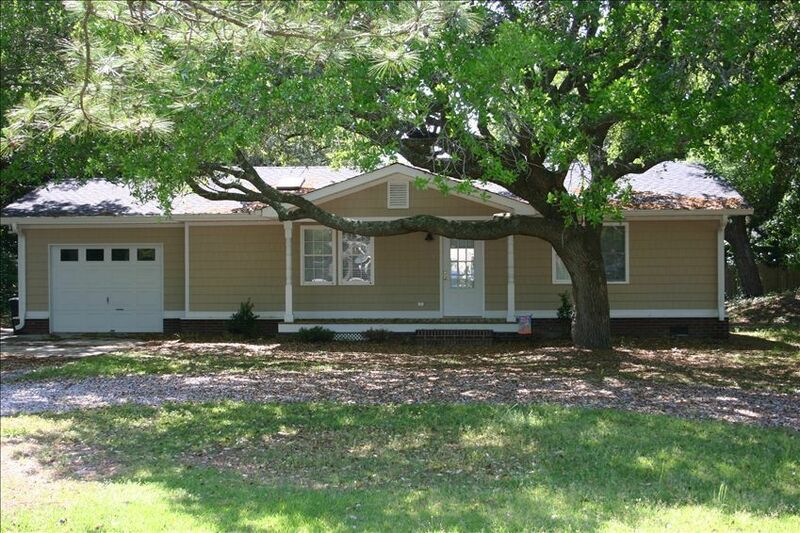 Beautifully renovated 3 bedroom, 2 bathroom ranch-style home, with fenced in yard, within walking distance to a private Pine Knoll Shores beach access. Located in the quiet and safe community of Pine Knoll Shores. Parks on the sound side offer a boat ramp, playground, docks for fishing or just enjoying the view. The sound/boat ramp is 4 blocks away. The beach is 2 blocks away with private parking, beach access, shower, picnic tables. Ramps offer wheelchair access if needed. This comfortable house is close to the Aquarium at Pine Knoll Shores and around the corner from the Crystal Coast Country Club golf course. Many fine restaurants are located on the island or on the mainland in nearby Morehead City and historic Beaufort. Please click on inquiry next to the calendar. If you use this method an Email will be sent to me and I can better contact you to answer your questions. You can provide your own linens or use and clean ours -washer/dryer on premises.